Bengaluru, April 15: With Karnataka Election Commission brand ambassador Rahul Dravid's name missing from the voters' list, the state's top election officer on Monday said that the former cricketer changed his residence and did not do the needful to get him included in the electoral roll. The former Indian captain, a resident of Bengaluru, will not be able to vote in the second phase of the Lok Sabha polls on April 18. Karnataka Election Commission Icon Rahul Dravid Cannot Vote in Lok Sabha Elections 2019 After His Name Deleted From Voter's List. According to Karnataka's Chief Electoral Officer (CEO) Sanjiv Kumar, Dravid changed his residence sometime back. He was earlier staying in his ancestral house. He said that the Dravid's brother, who lives in the ancestral house, submitted Form 7 for deletion of the cricketer's name from the voters' list since he was not staying there. 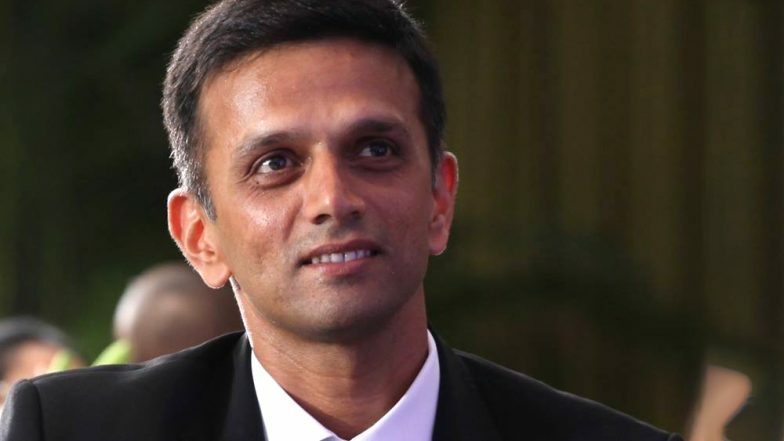 "But in the new residence Rahul Dravid did not take steps to get his name included in the electoral roll although registration officials visited there several times," the CEO said in a statement. The state poll body also said that the Bruhat Bengaluru Mahanagara Palike (BBMP) has confirmed several visits by poll officials to Dravid's new home.